Along with the big expensive stuff, we'll be offering some modestly priced items at our Studio Sale in May. 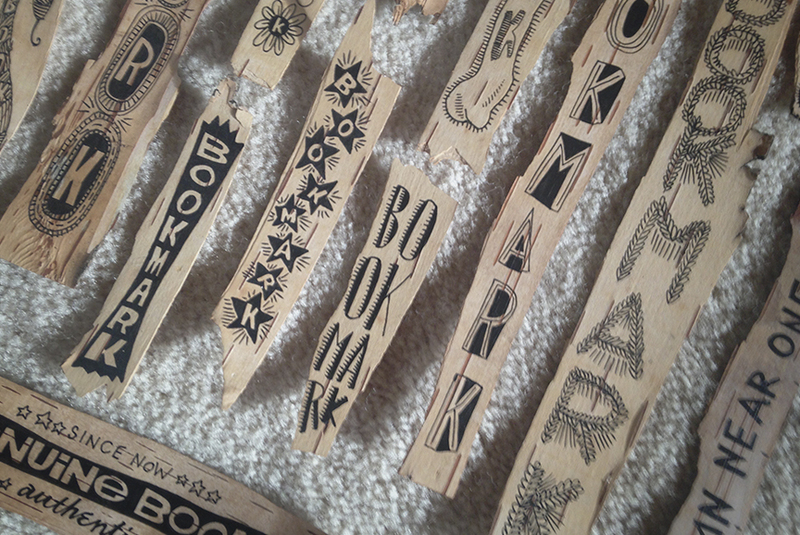 All natural (except for the ink and varnish) birchbark bookmarks, each with a one-of-a-kind look and feel will be priced to move. We'll display these in the check-out lane to encourage impulse buying.